Don’t Downplay Bathroom Plumbing Problems! There are a lot of great perks that come with owning your own home. There is also a lot of potential for problems to develop over time. If and when you run into such problems, you want to have them resolved as soon as possible. We know that homeowners today have a lot on their plates, and there are certain headaches that we’d all rather ignore. That does not change the fact that certain issues deserve your prompt attention, though. Case in point? 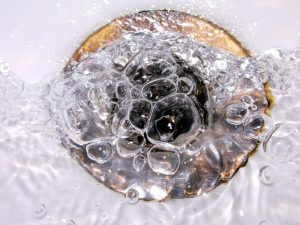 Problems with your bathroom plumbing in Orlando, FL. Is every issue with your bathroom plumbing an emergency? No, maybe not. Does it always benefit you to have any problem, no matter how “minor,” resolved as soon as possible? Absolutely. The fact that you can put up with a problem does not mean that it is not taking its toll in any number of ways. Here are a few examples of problems with your bathroom plumbing that you really cannot afford to ignore. If you follow our blog, then you know how strongly we feel about professional drain cleaning. You know that we always advise against homeowners trying to clean their own drains. The results just never pan out as well as those that you get with professional drain cleaning. That being said, many homeowners still wait too long before they go ahead and schedule drain cleaning! It is very easy to put the service off so long as your drains are still draining eventually. When you do it that way, however, you are eventually going to run into big problems. You wouldn’t wait until your AC breaks down entirely before you schedule repairs, and you shouldn’t wait until your drains clog up completely before you schedule drain cleaning. If your drains are gurgling, moving slowly, or bubbling, then the time for a good cleaning has come. “Eh, it’s annoying, but it’s not doing any damage.” So say too many homeowners that simply put up with their dripping faucets. Sure, it may not be doing damage to your property. What about to your bank account, though? Every drop of that water going down the drain unused is water that you are paying for yet doing nothing with. It adds up over time. Protect your investment by scheduling faucet plumbing repairs with our team. Again, we’re talking about wasted water here. However, it could be more serious than that. There are actually quite a few places in which your toilet may leak, and some of them are more serious than others. You could just need to adjust the flapper at the bottom of your toilet tank. That is actually a fix that you can handle on your own. You could have a leak in your supply line, however, or you could have a leak in the tank itself. That could result in water damage and you’ll need to replace the whole toilet. Schedule your bathroom plumbing services with Bayonet Plumbing, Heating & Air Conditioning.